While soffits come in many different types of materials, homeowners are increasingly leaning towards aluminum soffits due to their durability and ease of installation. Your home's exterior has many different features, one of the most important being the soffit. These are non-load bearing structures that form a small ceiling between the exterior property wall and the inner edge of the fascia. 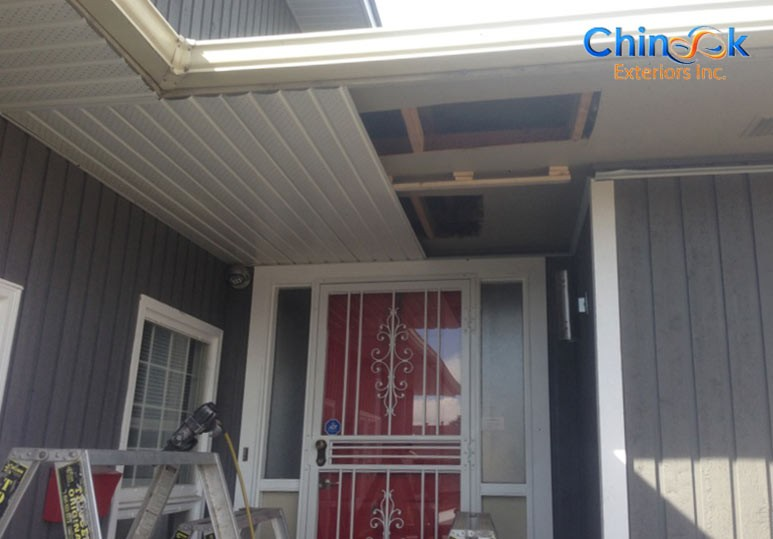 At Chinook Exteriors, we deliver top-quality exterior home services from gutter maintenance to soffit and fascia installation to add protection, air circulation, and increased value to your Calgary home. If you’re looking to replace your soffit, you’ll have many different material options - but have you ever considered aluminum? 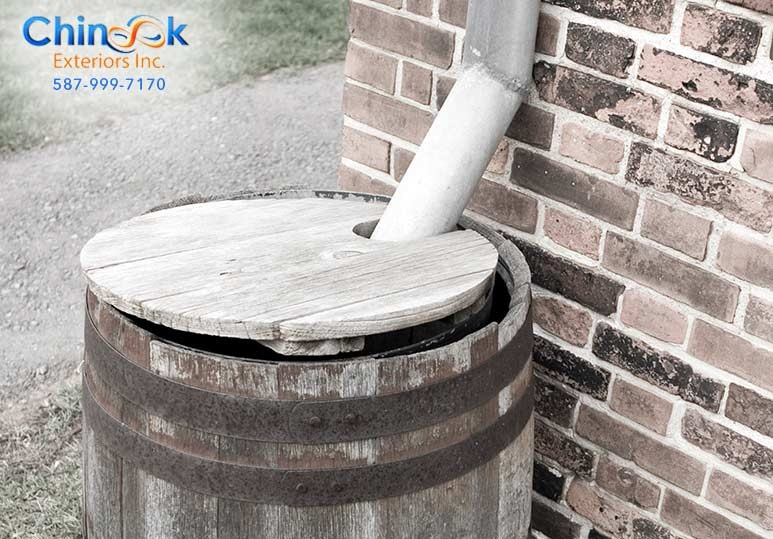 This has become an increasingly popular choice for Calgary homeowners due to its durability and pleasing aesthetics. To ensure that your aluminum soffit performs at its best, you must have them installed by an experienced home contractor. REMEMBER: if nailed too tightly to supporting boards, aluminum soffits can ripple or bow as they expand and contract with temperature changes. Many homeowners prefer aluminum due to its low maintenance requirements. The colour is baked in, which means that your finish will never flake, peel, warp, or rot - unlike painted wood. 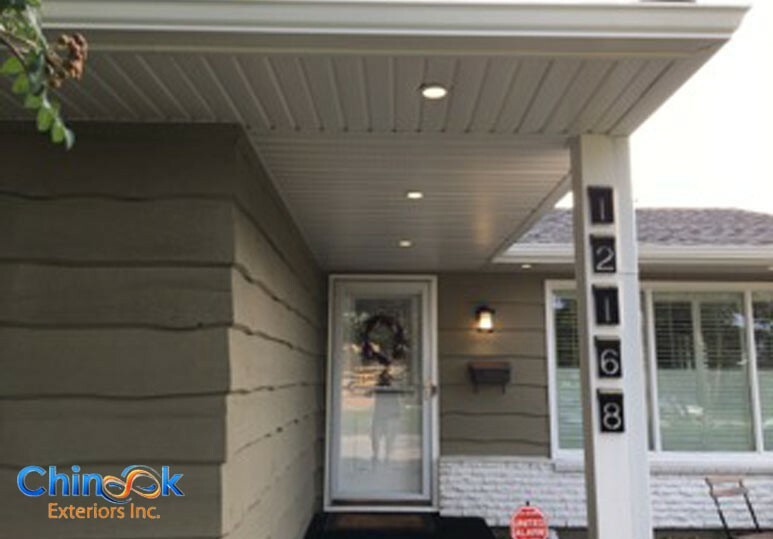 Once installed, aluminum soffits can protect your home long-term: our team offers 40-year warranties on all of our products. Small animals such as racoons, bats, and squirrels, are very good at exploiting weak spots in your soffit to get into your home. Did you know that squirrels can fit through holes with diameters as small as 4 cm, while bats can make it through gaps smaller than 1cm? Not only is aluminum more durable than wood, but it’s also more difficult for small animals to chew through, keeping your home better protected from pests. Provide maximum ventilation. This will ensure good air circulation in your attic and reduce the build-up of moisture and condensation, minimizing your risks for rot. Reduce energy consumption. 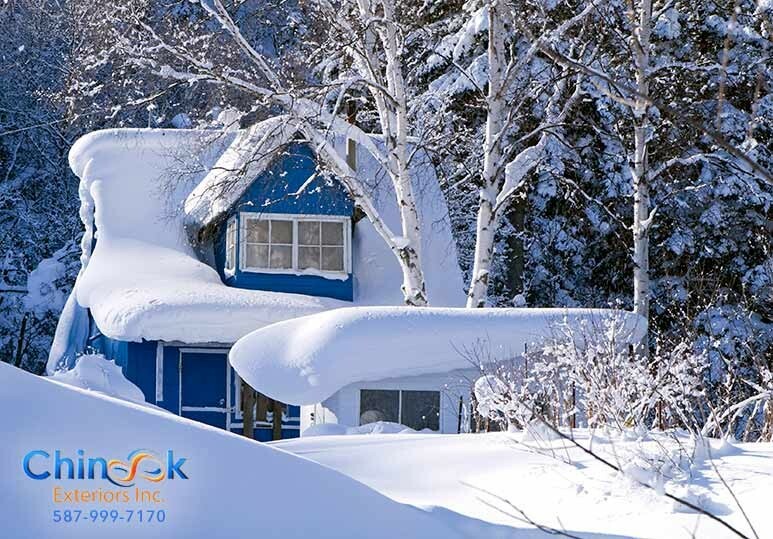 By improving your air circulation, your heating and cooling systems will run more efficiently and diminish ice formation during the winter. Keep you safe from fire. Aluminum is non-combustible, which means it won’t burn, protecting your home from danger. Aluminum soffits are available in a range of colours and in both plain and perforated styles, allowing you to find one that best suits the style of your home. Want to learn more about the costs and benefits of our aluminum soffit design and installation? 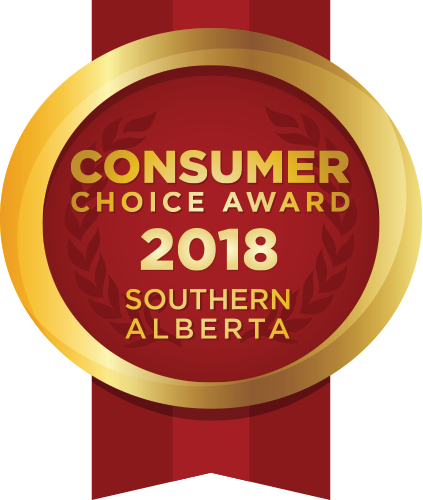 Contact our Calgary office at 587-999-7170 or fill in our online contact form, and get a free estimate today!